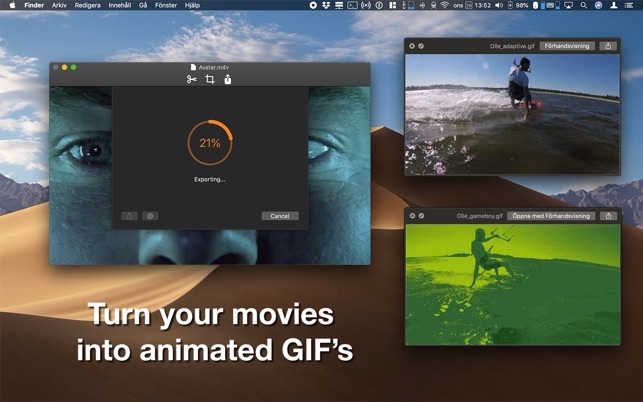 Turn your MPEG-4 movies into sleek animated GIF's in no time. GIF'ted will analyze your source movie's colors to make the best looking GIF's ever. Or use a classic palette, for example from Gameboy or SNES, for wacky and fun results. 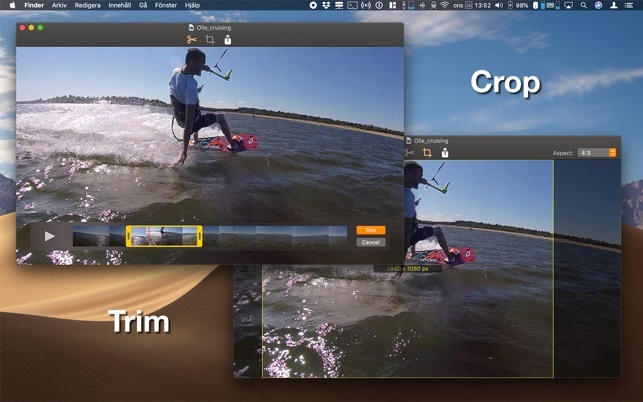 You can also trim and crop the output GIF to fit your needs. 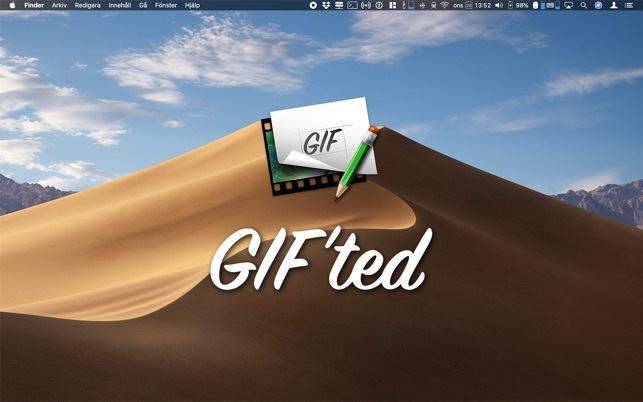 - Create beautiful animated GIF's from your MPEG-4 movies, (mp4, m4v, mov). - Adaptive 8-bit color palette export for the smoothest result. - Set the maximum number of palette colors to opimize file size. - Pre-defined classic palettes, like Gameboy and SNES, for wacky output results. - Trim beginning and end of time. - Crop from several presets and in freeform. - Supports looping or non-looping output. - Share the output GIF directly from the export sheet. - Works great with Sierra, High Sierra, and Mojave. - Written in Swift 4 for the snappiest feeling. If you find a bug or need support just use the built-in Feedback feature in the app. PS! The free version works like the paid version but it will render a watermark on the exported GIF. - Ready for macOS Mojave and Dark Mode. If you don’t purchase, it simply doesn’t work. Why would you pay for something you cannot try out. I'm not sure what you mean? The free version works exactly like the paid version but it puts a large watermark on the exported GIF. Did you even try my this app?